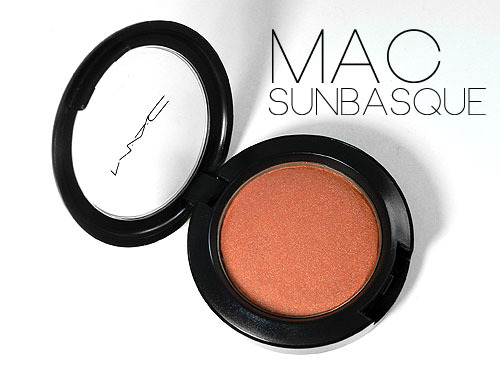 MAC Sunbasque Blush is described on the MAC website as a peach with pearl. It’s a little more complex than that – it’s a warm, shimmery rosy-bronze. There’s red, there’s pink, there’s peach and a hint of bronze. It’s everything you could ever want! 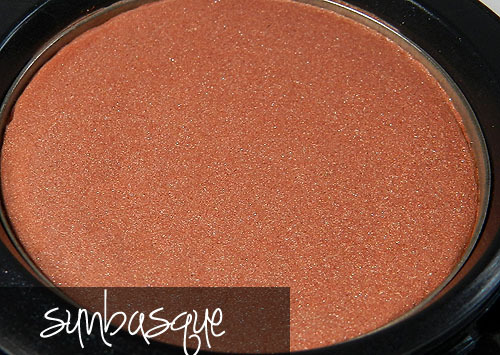 Sunbasque is a sheertone shimmer, so there is definitely shimmer present, but it’s not gritty glitter and it’s not overpowering. 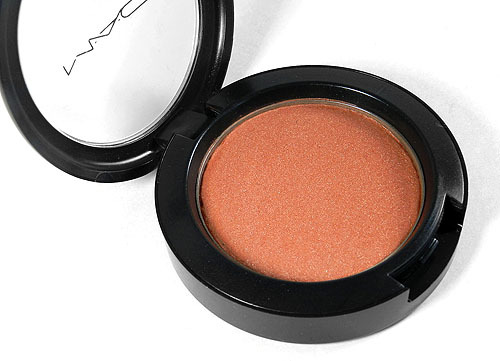 It’s kind of like a blush, bronzer and highlighter all-in-one. When you’ve got Sunbasque on your cheeks, you don’t need much else! 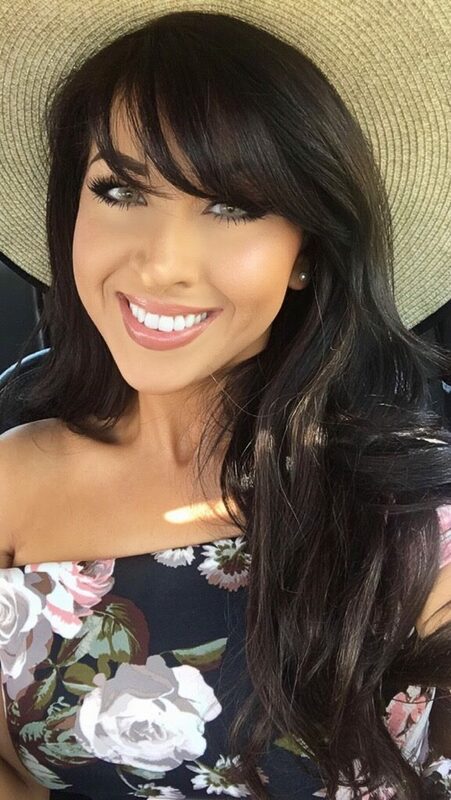 It’s one of those shades that somehow enhances my tan and makes my skin look radiant. 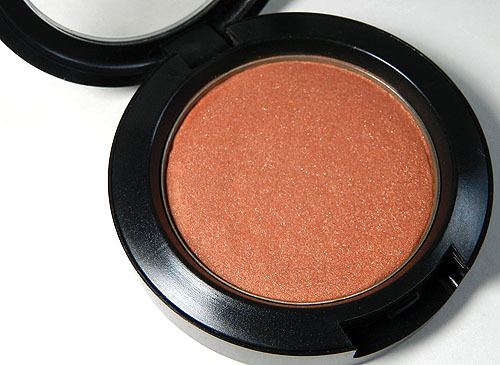 It’s a great blush to pair with warm eyeshadows (bronze, brown, gold, etc) and warm pink, peach and coral lipsticks. It’s a really beautiful shade, and it’s especially nice on medium to tan skin tones. 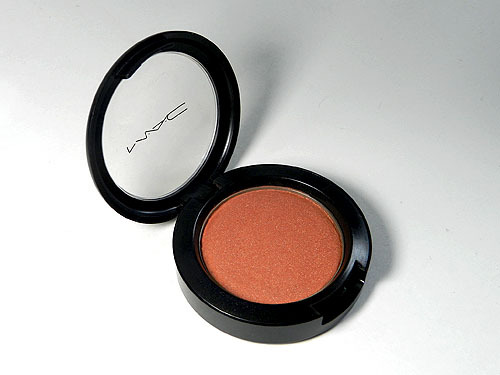 In fact, if you’re around the MAC NC30-NC40 coloring and you don’t own this blush, I urge you to check it out! It’s one of MAC’s best sellers, and it’s one of my personal favorites. The sheertone shimmer formula is very easy to work with with. 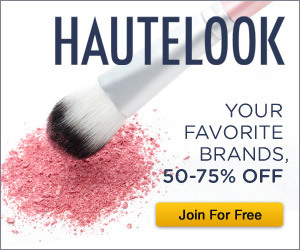 The texture is smooth and they are easy to blend. From Left to Right: MAC Margin, MAC Sunbasque, MAC Gingerly, MAC Eversun, MAC So Ceylon MSF, Nars Lovejoy, MUFE HD Creme Blush #10 and MAC Pleasureful Blushcreme. Camerareadycosmetics Haul! OCC Lip Tars, Cinema Secrets & Face Atelier!